Of course the radius of a carved turn is determined not by the skis, but by the skier 🙂 Nevertheless, the skis may have its own “favorite arc”, along which it goes like along rails. Curvature of the arc varies with the angle of the edge. What is especially nice, a skier for carving a “favorite arc” does not need at all (you can replace it with a сast-iron weight). And if the desire of a skier to go along the arc coincides with the ability of the skis to cut just such an arc, then probably the perfect carving will turn out. In this note, I will examine how the radius of the sidecut of the skis and radius of a carved turn are related. Based on the skis Atomic Redster FIS SL 165 cm (2016) . 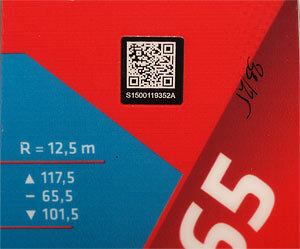 On “top sheet” written geometric parameters: length 165 cm, radius 12.5 m, width of the tip 117.5 mm, waist – 65.5 mm, tail – 101.5 mm. In the note Ski sidecut radius and radius of a circle was determined that the length of the working area of this ski is 145 cm (this part of the edge can “lie” on the surface). The shape of this working section of the side cutout within the accuracy of 0.1 mm can be described by a circle with a radius of 12.3 m, or by curve more complex shape. In this note we will incline this form and watch what kind of trace is obtained in the snow. ,If more or less the shape coincides with the circle, then what will be the radius. The technique of “edging” the shape of the side cutout is not very complicated. It is necessary to put the measured point on the surface and see what kind of deflection of the ski is needed for this and what trace this point will give on the surface. This is how I’ve transfered the shape of the sidecut into the required deflection of the ski for simultaneous contact of the slope with the edge along the entire working length. 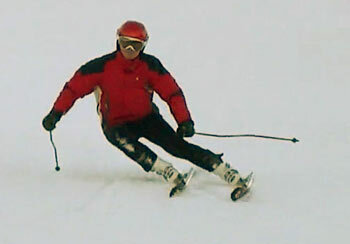 For details, see the note Compliance ski sidecut shape to deflection. Part 2. Translation. Trace on snow of working part of ski edge. Vertical axle: width of trace, mm. Horisontal axle: distance along movement. 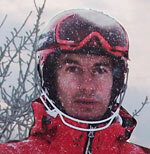 Red line – ski sidecit, blue wide curve – calculated trace on snow. Thin darkblue cirve – circle with poined radius R.
It is seen that such a transformation gives an round trace, so it is quite possible to talk about the turning radius. I note that at the edge angle of more than 80 degrees, the circle not good concide to trace. The value of this radius is rather strongly tied to the radius of the side cutout (equal to 12.3 m). It can be seen that the edging to a 45 degree angle corresponds to a change in the turning radius from the “original” of 12.3 m to 8.7 m, which is roughly the same from the point of view of the trajectory on short slalom turns. 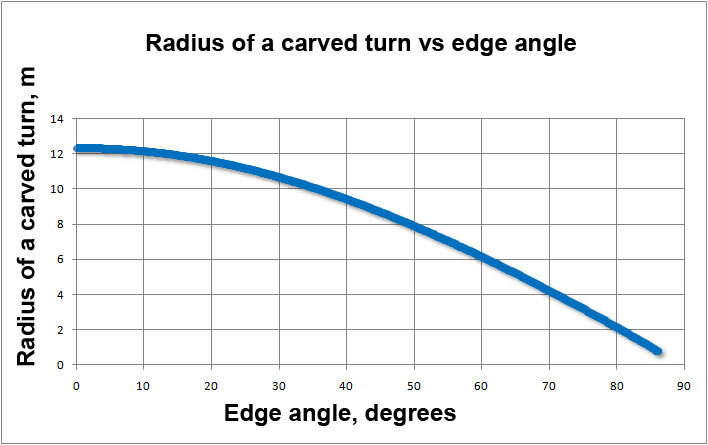 At an extreme angle of 60 degrees, the radius of a carved turn is 6.1 meters, which is also not very similar to what happens on the slalom course. Near the pole of gates the skis visually go as it were “around the skier”, which corresponds to a turning radius of less than two meters. This is the edge area from 80 to 90 degrees! But is it even possible to talk about carving the arc in such angles? In general, nothing new is that a skier is riding, and not a ski 🙂 But the topic of the note is to see how “ski wants” to go. To do this, you need to understand at what edge angle it can cut the arc. As shown above, there is no clear scientific answer. So I’ll have to rely on what I see. Now I’ll go to parameters of slalom course. In this season (2017) we put 9.5 meters (or little less then “6 skis“, the ski in a straight line 1.64 m) between the gate. I’ll see what the width of the route should be so that the skies (itselves) can pass it 🙂 With a width of the route corridor of 3 meters, the minimum radius of two conjugate arcs (see the picture on the left) is 7.5 meters, which corresponds angle of the edging of 52.5 degrees. 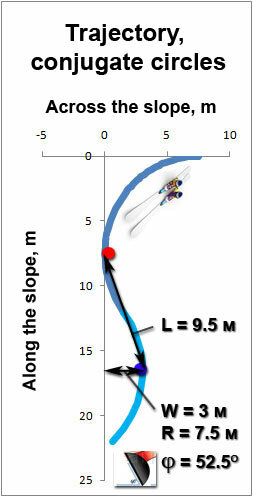 In principle, it is believed that such a trajectory is not the fastest, it is better to slightly “lift” it, so as to approach the pole a little more across the slope, rather than straight down as in the figure. This will increase the radius and increase the width of the corridor of the trajectory. But I will not do this here. Mathematically, the corridor (W) can vary from zero (the radius is infinite) to the distance between the gate (L). In the range of the width of the corridor the trajectory can be described by conjugate circles. This limit corresponds to an angle of 45 degrees between the straight connecting gate and the direction down. In our case, this width is 6.7 meters, the corresponding radius is 3.4 meters, which corresponds to the corner of the edge of 74 degrees. The general formula for the radius of the trajectory in this range is: . 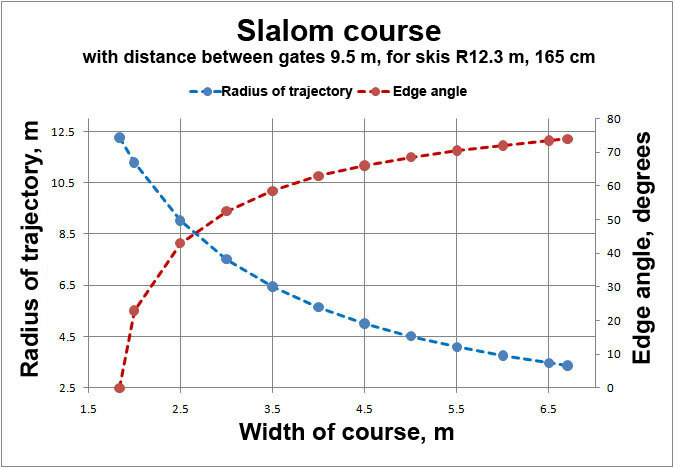 Since the ski trace has a maximum radius of 12.3 meters, this imposes a restriction on the minimum track divorce of 1.84 meters (the corresponding edge angle is zero). That is, if the corridor of the route is less than 1.84 meters, then straight vertical section must be inserted to the trajectory. And if the corridor of the route is more than 6.7 meters, then a straight horizontal section should be inserted into the trajectory, and the radius of turns on the circular parts of the trajectory should be equal to half the component along the slope down the distance between the gates: . “Closed”, the width of the route = 4.1 meters, the turning radius = 5.5 meters, the angle of the edge = 63 degrees. 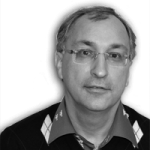 Alexander Mistryukov said that he puts “on the eye”, on a steep slope about 5 meters (R = 4.5 m, angle = 68.5 degrees). In general, it turns out that to “cut” the slalom track you need to own the skiing with the angle of the edge of about 60 degrees. It must also be taken into account that in the calculations, edge change occurs in a flash. In fact, of course, there is no such thing, probably therefore the arc shape in the track is not a circle, but a “comma”, and you need to turn more. But also a trajectory of a slightly larger radius, because “wider and higher”. Therefore, most likely in general, the estimated angle of the edge and the real roughly coincide. Only geometry was taken into account. The steepness of the slope, overload, clutch with the slope was not taken into account. 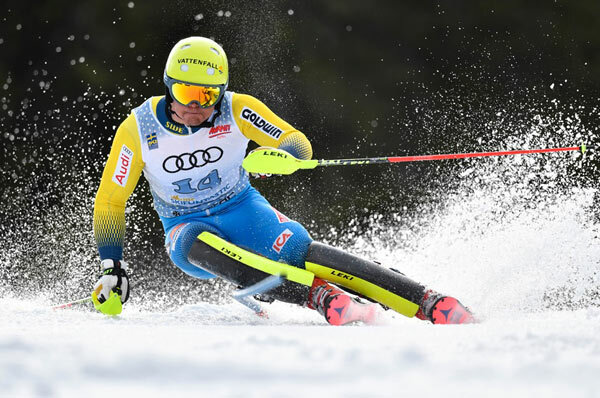 Nevertheless, really, slalom skis can “go” themselves to the slalom track 🙂 We need only be able to powerfully edge and do not “go off the rails”.